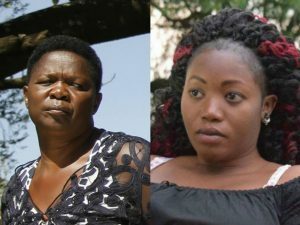 Migori governor Okoth Obado’s wife Hellen Odie said she preferred that he married slained Rongo University student Sharon Otieno instead of having an affair. Odie told police detectives that there was already rumours in the county that the governor seeking a second wife in social media which forced her to tackle it in a public rally. According to the Star newspaper, the wife said Obado sat her down in May and admitted his affair with Sharon, even telling her the Rongo University student was pregnant. “I asked him if he was planning to marry Sharon as a second wife. I told him that I honestly preferred he married instead of having affairs. He told me he had no such plans and that he had ended the relationship with the said girl,” Helen police statement reads. “My husband said he would only discuss the welfare of the child if proved to be his.” He later admitted paternity. Hellen also said she later saw a text from Sharon in Obado’s phone during their son’s graduation in July. “It was then that I asked him how he was going to bring the baby home without informing our children. We agreed to sit with our children, as the talk of Sharon’s pregnancy became common,” she said. The family later discussed the affair with governor accepting to take care of his son if paternity was proved. Sharon, who was seven month’s pregnant with the Migori governor’s son, was brutally murdered on. September 3. The governor has been charged with murder, conspiracy and financing, which he has denied. He has been remanded until his bail hearing on October 8.